Want to know how worlds best leader become successful? We have created a list of most inspirational content on this page. 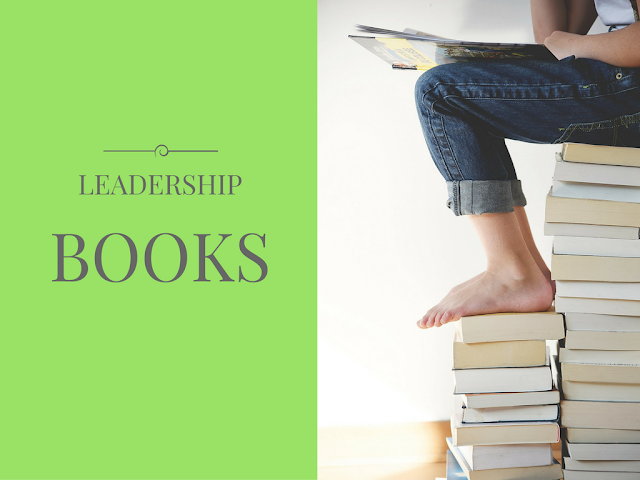 These books inspire new leaders to thrive in really stressful environment. There are many important attributes of a good leader. You may not know about the journey world class leaders go through in their lives however, these books will share the essence of their learning in quick and easy format. Best leaders are good readers too. They are smart at picking the right books for reading. Which is your favorite book from these? The Authors use a man's story as he faces numerous challenges in his family life and professional life to demonstrate and explain how self-deception reduces the effectiveness of our efforts. It's one of the best leadership books ever written. A truly fascinating narrative and definitely one of the top ten leadership books. David Marquet, in command of a U.S. submarine, completely changes his leadership strategy that converts his crew from blind followers to leaders in their own right, and succeeds in improving morale. One of the best books on leadership. About leadership best books are written by the actual leaders in life. One of the best leadership books, a true account of the story of Earnest shackleton and his crew as they struggle and survive on a sea exploration of the Antartic seas. One of the top leadership books that demonstrates the power of leadership in impossible conditions, where the limits of human will and endurance are tested. The book is dedicated to teenagers to help them make intelligent choices, and smart decisions about the most vital aspects of their life and helps them deal with addictive habits, pressure from peers etc. Best leadership book that helps build self-esteem, realize objectives. Explores the striking similarities between the worlds most effective leaders and reveals the secrets to inspiring loyalty, gaining influence, and profitably running an organization. This is one of the top leadership books that can change your perception about leaders. Books on leaderhip pdf versions are not avilable for every book, but kindle, paperback and audio versions are available. Kathryn, a CEO, uses courage, skill, and dexterity to unite her team and bring the company back on track. The best leadership book that is definitely among the top five in the top 10 leadership books list. Explores decades of scientific work to explain how the intrinsic human quest for finding purpose and meaning is the best motivator, and why working for rewards is often a limited and temporary method of inspiring people, and much more. Makes it to the best leadership books list, definitely among the top leadership books that delve deeply into human psychology drawing conclusions substantiated by scientific research. Practical wisdom, simple leadership lessons learnt from fishmongers applied by managers that changed the entire workplace. On leadership best books are simple and practical, one of the top 10 leadership books as interesting as the 21 irrefutable laws of leadership pdf or Primal leadership pdf, yet, so simple and great fun to read. A giant among leaders, his story of struggle, perseverance, and victory at the end. An autobiography that will transform you, move you to tears, and help you understand what being a leader means. Definitely in the best leadership books list, the best book for leadership study and learning. Pastor Jakes imparts his teachings on Christian values in the form of a self-help book that can enable people to transcend limitations and lead a fulfilling life. The best leadership book for understanding spiritual as well as material living, and achieving balance and harmony. All about how to stop procrastination, develop awareness and break compulsive habitual patterns that stop you from achieving your true potential. Definitely on the best books leadership list. Every human mind has two parts, one rational and the other emotional and intuitive. Both minds have a conflict and the resultant impacts our lives. If we understand our psyche change is easy, and possible. Habit patterns, decisions, lifestyles all can change, if we actually apply the insights in the book, learning from several real life examples. One of the best books for leadership, self-help and psychology, certainly one of the top leadership books. Leadership positions in the U.S. are still predominantly occupied by males, even though an equal number of women graduate from college each year. This book inspires woman to change all of that. Great leadership books are those that actually inspire and change readers' lives. One of the phenomenal leadership books ever written with mastery of the root concepts of power, teaching from real life historical examples, a leadership books best seller. It is like a bible for those who want to be leaders. Each law is explained in an amazingly interesting style, with crisp convincing logic and conclusions. On leadership best books should have the components that Greene has managed to add in a beautiful way. IQ scores, actual intelligence, its transaltion into success; a book that questions every idea. What about the part of brain that does not understand logic, intuitive, emotional and creative. Emotional intelligence, looking differently, balancing left and right, is the best approach. Redefines thinking granting clear insights. More books on leadership need to address something as fundamental as the brain and the thinking process, truly one of the best books on leadership. Rated as one of the best leadership books, it focuses on simple methods To approach management. The leadership books best seller that has already sold more than a million copies. Complex methods are interesting on paper, whereas something simple may feel attractive , yet simple things work as they can actually be applied easily and translate into successful outcomes. A team imbibes positive energy from its members, attitude matters. Secrets that will help accomplish great things. Clear insights, and methods to achieve success at home and workplace. Best leadership book to read if you want to find working solutions. Fantastic narrative, one of the best books on leadership among critics. One of the great leadership books that already has a dedicated fan following, that extends to several hundred thousand. Practical management and leadership lessons to transform your working style. A phenomenal book on management and leadership, full of effective ideas. Making the most of every situation becomes possible only if we can deal with challneges in life. Shame can create barriers in our psychology that prevent us from achieving our true potential. A book that teaches more about this from real life examples. One of the best books on leadership and life. Change is always around the corner, adapting to it is necessary but often hard. The dynamic world never stops, the only solution is to adapt rapidly and be prepared for changes. The best leadership book on the subject of change. Biogrphies of famous Presidents are always intersting, but President Adams was unique in many ways, his life and times offer interesting insights, and fascinate you till the end. Makes it to the leadership best books list. Presents the distilled extract of the experiences of 125 of today's most successful business leaders. A leadership books best seller and one of the great leadership books. One of the great leadership books that will prepare you for those crucial conversations which can change the course of your life or business. Enhance your communication abilities, and be prepared for any conversation. Beautiful rhymes, pictures and illustrations and totally hilarious. A great book for children, one of the best books that makes learning easy for children. Children remember and understand more when they enjoy what they are reading, a bestseller. Frustating and torturous meetings are common in today's workplace. A work of fiction that actually tries to address this omnipresent problem. One of the interesting leadership books, and great fun to read. A biographical book on the life of President Roosevelt, definitely one of the great leadership books. Narrated with clarity, a comprehensive account of his great life. Truly inspiring. Key decisions that can make or break our lives, or change our lives. A great book on making those crucial decisions, interesting story line, widely acclaimed, and a book that will not disappoint you in any way. Definitely on the best books leadership list. Mid-level managers always face tough challenges as they try to lead effectively. They have teams below them and also the boss and a host of more senior managers. A book that shows you how to become a leader in such a situation, what works and what doesn't. One of the best leadership book that adressess needs of upcoming leaders. What essential qualities describe leadership. Knowing the essence, and how can it be developed and cultivated. The book explains all. Definitely one of the top leadership books by the best selling author, Maxwell. Powerfully delivered, meticulously compiled, years of learning, thinking, and analyzing distilled into a single book that teaches the core principles and laws of how to achieve success. It will inspire, motivate and transform you. Definitely makes it to the best books for leadership list. Communicating effectively and understanding how to captivate, interest, inspire and connect. Maxwell explains all that can make you effective, and can set you apart from the rest. Certainly a great book that has a place in the best books for leadership list. A record best seller that is on the personal favourites list of top business leaders. Inspires, teaches and changes perceptions. Definitely on the best books leadership list. Beliefs are the basis of our efforts, directions and take us ultimately to our goals. Thinking right can work like magic if you learn how it works. A phenomenal book that has inspired millions. Definitely on the leadership best books list. Communication happens everyday, simply changing our regular habits and developing some awareness could help us communicate powerfully. Handling emotions, getting success, and everything else becomes much easier if learn how to communicate in the right way. One of the best leadership books. Everyone has hidden potential, latent talents, and the innate ability to become a leader. The book can help you change and bring out the leader within. A life changing experience, powerfully written with great clarity. One of the top leadership books that deserves to be on the leadership best books list, Maxwell is a great genius and thinker. A book about wars, dealing with strategies, but not on actual military warfare rather a continuous war that we face in everyday social life. Greene's masterful narration, brilliant logic, and artful delivery make the book phenomenal and inspiring. Deserves to be admired, a book on the leadership best books list. Transition is inevitable, management roles shift, sometimes every year, new roles require adaptation, continuous adjustment, and managing sustained performance delivery in unfamiliar situations. This book will help you do just that. Masterfully narrated, one of the leadership books best sellers. A best selling book that employs scientific research, latest case studies and then meaningfully delivers the extract in a compelling narrative. It can potentially change your ideas of leadership and bring out the best in you. One of the truly great leadership books. Learning is an art, takes experience, time, commitment, but all is meaningful if it can be applied in today's fast paced, deadline driven, multitasking environment. A book that examines and imparts convincing conclusions. Masterfully written, definitely on the best leadership book list. There's much that Jesus said, a lot of dedicated followers around the world. Eventually do we end up manipulating teaching to fit our own ideas? This book will change your life. A great book, definitely on the leadership best books list. A complete, detailed, and comprehensive account of the Life of President Franklin. Meticulous research, amazing narrative, and truly exceptional style. Totally inspiring, one of the best leadership books. Ministry redefined, a new approach, emphasizing on woundedness, a common thread that can be used as common ground for counselling, and to heal. Effective healing, needs a connection, a new approach. One of books on the leadership best books list. Leadeship is challenging, needs character, unwavering faith and much more. Gives an understanding of the life and challenges of spiritual leaders. An amazing book, Best leadeship book in the category of spiritual leadership. To have knowledge, know memorized core principles, general understanding these are common among leaders. Having the mind-set, the ability to apply known principles is uncommon and quite a hard task. This book is an insight into it, and can help you become actually effective. One of the best leadership books. Learn about an orphns journey to the White House. Extraordinary courage, amazing resilience, struggle and perseverance, story of a great visionary. Immaculately narrated, meticulously compiled. Deserves to be on the very top of the best leadership books list. A teacher and psychotherapist come together to teach and counsel using their combined wisdom and experience. All about inspiring creativity, gaining success, effective communication and becoming a leader. One of the great leadership books. The book puts forward seven steps for having a successful ministry. The strategic principles are namely clarifying to win, thinking about the steps, narrowing down on one’s focus, teaching less, listening to what others have to say, replacing oneself and finally working on the task whole heatedly. Critically acclaimed, based on more 200 interviews, a definitive and comprehensive account of the Fuhrer's life. Meticulous, precise, beautifully narrated giving insights into his psyche and life. One of the best books on leadership, if to understand what can go drastically wrong with too much power. Identifies core ideas and principles, ultimately teaches how to find meaning and purpose, and enhance work capacity, and achieve success. A psychologically stimulating, thought provoking book. Makes it to the best books leadership list. The book essentially helps you to implement jobs faster, whether you are a business owner or a corporate executive. One of the key elements of corporate success is execution; the author reinstates the importance of execution and further describes it as the link which connects aspirations with results. It is change that turns an organization from mediocre to great. Cahnge is not accidental, leaders, managers drive change and take charge. This book gives great clarity about the process and principles of directing and handling change. Truly inspiring, best book for leadership. An organization that keeps learning, one that beats competition, one that has free collective aspiration can make it big. Amazingly simple and clear, convincing rationale and logic, a must for leaders. A book that can change perception. One of the best leadership books that inspires. Welch enriches readers with a wealth of information, tips and trade secrets that teach all about winning, management and profits. Learning from one who walked the walk and relentlessly worked to make it big at General Electric. A bible, a treasure, truly respected book, one that deserves to be on top of the best leadership books list. What worked, the secret, the philosophy, and knowing all about the meteoric rise of Starbucks. Business tactics, customer orientation, working all explained, an interesting book that has it all. Makes it to the best books leadership list. An astronaut who has been in space, seen it all, trained hard and made it back in one piece. A survivor and legend explains about life on earth, its challenges and how to make it. Mesmerizing, funny, interesting and stimulating. One of the most interesting books on leadership. An Epic, a complete biography, President Truman, courageous, bold, his life and times. A moving story which will change your understanding. Definitely on the best leadership books list. Highlights President Obama's sequential destruction of the free-market economy. Raises grave concerns, and discusses the counterproductive stimulus and much more. A great book about leadership and an insight into American governance and crisis management. Understanding all that goes into building an organization ,objective insights and conclusions after a case study of 18 companies from beginning to the end. A truly great book on leadership. Explains how a church is more about people and less about infrastructure and at times the priorities shift the other way round. A great book on spiritual leadership. From humble origins to the pinnacle of power, from being a lawyer to being the Commander in Chief. Know the life of Lincoln, in-depth details, fascinating narrative. One of the top leadership books. Building trust, quite often ignored in today's competitive environment that seeks quick profits. Trust changes leadership, the response to leadership and simplifies things. A great book on leadership. Maxwell's genius, an insight and comprehensive exploration of the impact of attitude and its broad ranging multi spectrum influences. Learning attitude change, step by step. Truly inspiring a great book on leadership. Jack, the manager of General Electric, tells his story and imparts the distilled essence of all he learnt and explains what made him a phenomenal success. One of the best books on leadership. Surviving inflection points, or sudden changes as Grove describes it. Sudden changes that impact large companies and how to quickly adapt and what goes into it. Andy Grove goes a step further and shows how an inflection point can become an advantage rather than a disability. One of the most amazing leadership books. Power, political understanding and leadership all from the perspective of Noam Chomsky. An interpretation of his series of popular lectures. A book that enlightens all who read it. A truly collectible and great book about leadership. Practical and profound, a book that teaches the simple basics of doing anything. A self-help book that is more than just a compilation of fancy and popular ideas. Practical wisdom that applies to daily life, business, leadership and almost all aspects of life. A good book for leadership and self-help. It questions Lincoln, a legend , a visionary and his choices. Was he really great, or did America pay the price of his ambitions, and mistakes. An interesting perspective and a good book on leadership. Shackleton and his crew are shipwrecked on the Antarctic sea. A story of how they endure, beat all odds and survive. Inspiring to the core, a moving account of heroic courage. A great book on leadership. Achieve, imagine, and grow step by step. Hill's masterpiece, a great book that can teach all about getting success, being independent and realizing dreams. One of the top books on leadership. Fiorina, her challenges, controversial decisions, how she faced tough times and overcame obstacles. A book that offers much to learn, and an incredibly honest perspective on the internal issues of a business. An amazing leadership book. Bush, the controversial President, his deceptive strategy, and the amount of damage it has caused. A comprehensive and deatiled analysis. A great book to understand leadership and the impact of bad choices. Beating your competition is the only reality of business that never changes. Learning faster, and anticipating change can help you make it big, an insight into how to make it possible. A spectacular book on leadership, meticulously compiled analysis. Givers and takers, those who don't expect much and those who do little but want much. How a majority of givers make it big and where takers fail. An interesting book. An inspiring book about business, what drives success, and leadership. A closed world that can finally be explored. The North Korean plight, governance, and life under the Kim dynasty. A tale about dictatorship, bizarre governance and something that will shake you to the core. The potential threat posed by such a state to the world at large, all explored in a brilliant narrative. One of the great books for understanding politics and leadership. Understanding education, motivating and inspiring, a must for teachers and parents that can help you transform the life of your students or your children. A bestseller that will leave a lasting impression. A deep insight into the Kenedy brothers, the JFK administration, and things we never heard before, deception, politics, rivalry, secrets and the mob all in a well researched meticulously compiled book. America's greatest military leaders, Generals, their failures, struggles, success and triumphs. The famous generals and those whose contributions have been largely ignored. A great book about leadership and history. Customer service, explained and explored in a new light, deals not just with customer satisfaction, but with making fans out of customers. A great book on business leadership and a charming narrative. About the Presidents who provided true leadership during the toughest time, the Second World War. A complete, comprehensive account, in a well researched book. A truly great book on leadership. President Kennedy his family, personal life, love life, wars and eventual assassination. The story of his life in in its many colours, a great life cut short by an unfortunate incident. A great biography that does justice to the legend and leader. A great book on leadership. Explores the warm friendship between Roosevelt and Churchill and how it influenced events of the Second World War. How personal relations change history and matter deeply in politics, and much more. A phenomenal book on leadership definitely on the greatest leadership books list. A champion, and prominent voice of the Civil Rights Movement. The autobiography of Malcolm X is a great book to read and deserves to be on the list of the greatest books on leadership. Integrity, a word often misunderstood, explored in a completely penetrating manner, deeply insightful and inspiring. A book that can change anyone. One of the best books on leadership, and one that can help build character. Fred, a mail carrier who cares, brings smiles to peoples' faces and treats every customer as a friend. This and other similar stories that help us in understanding life. An illuminating book, a pleasure to read. A book about life and leadership. The Iraq war, and the now well-known mass deception. The blunders of the Bush administration, and the consequences. A book that needs to be read, a story that needs to be heard in detail. One of the best books on leadership, politics and political mistakes. Sun-tzu a brilliant leader, master of the art of war, a detailed account of his epic classic book. The bible of warfare and military tactics. A great book. Definitely top of the list, on the best leadership books list. A detailed analysis of Lincoln assassination based on research that will change your understanding of history. Clear understanding of the plot, the conspirators and the conspiracy. Everything ranging from the basic fundamentals of success to actually realizing and achieving organizational goals. Understanding leadership, and being effective. One of the best books on leadership. Positivity drives performance, a well-known fact, yet hard to apply at all times. From a study of killer whales to a workplace, the common effective principles that ensure better performance are same. A very unique and interesting book. Definitely in the best books on leadership list. The Clinton administration, its intimate working secrets, revealing how men of power are as prone to fallacies as are common men. A compelling narrative, honest, and brilliant. A great book on leadership and politics.